Podcast Tracker is a web service to track your podcast listening, view your basic stats and export your podcast listening history. 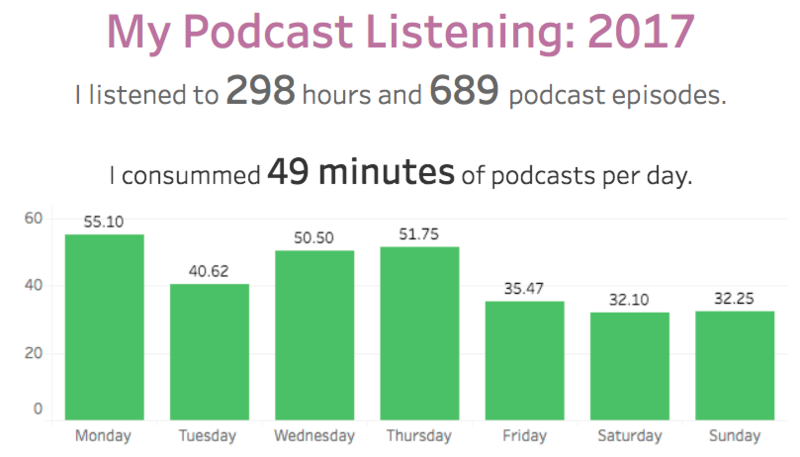 Podcast Tracker was created by Mark Koester in late 2016. It's current and primary purpose is to provide a simple web service for tracking podcast listens. We sync your podcast subscriptions and then get the latest episodes which you can then mark as you listen to them or log them for a past date. 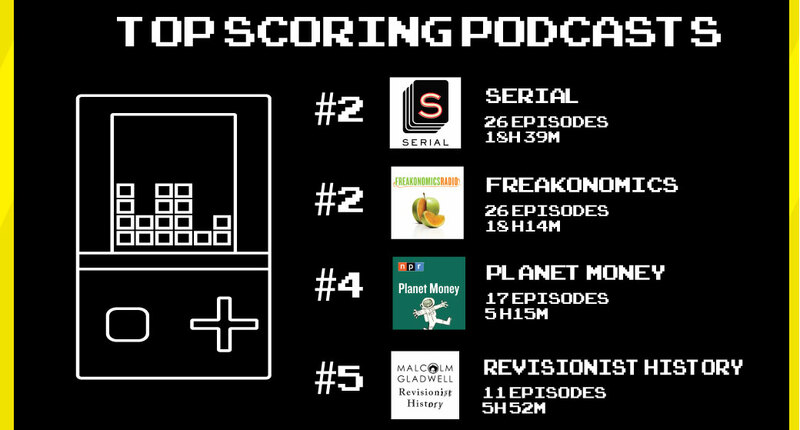 We provide basic statistics on your total podcast listening time, your top podcast channels and, of course, a full export in CSV of your podcast listening history. Join now! Inspired by various media tracking services like Trakt.tv, Last.fm, and GoodReads, the service has been used by dozens of self-trackers, quantified self folks and others to log and record their podcast listening. Learn more about our story. Future plans? 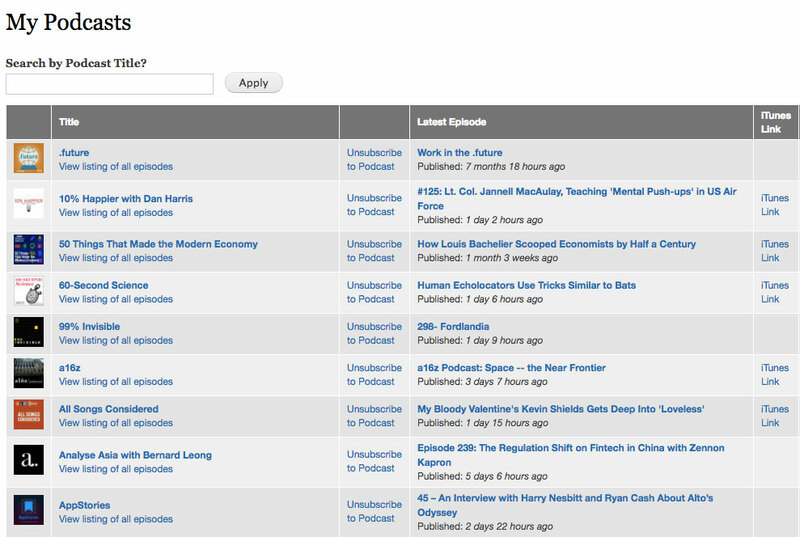 We hope to become the defacto solution online for tracking podcasts. Plans are in the works for opening up a Public API and launching our own mobile apps. Got an idea? Send us a note! Sync your podcast channel subscriptions for easily logging your latest podcast episodes. 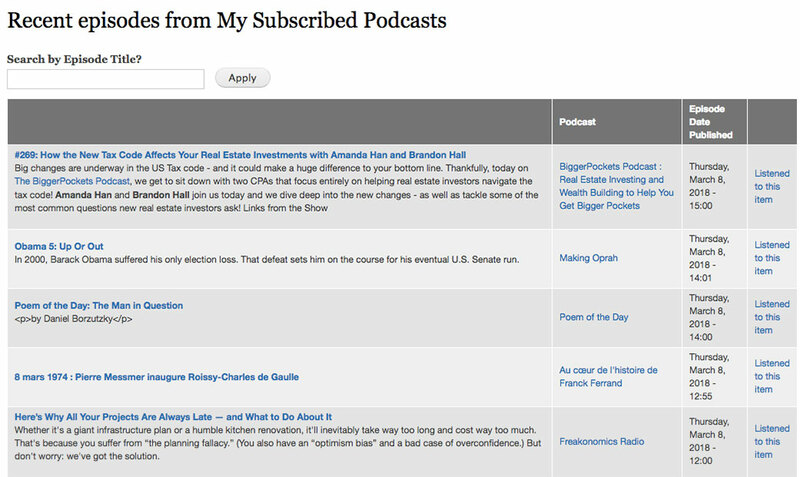 Import your entire podcast subscriptions or add podcasts manually from the directory. View which podcasts you listen to the most and your total listening time. Know which podcasts your listen to most and when!